Terri Varnum has more than 34 years of management and leadership experience, 27 years of which has been with Ettie Lee. Prior to assuming the role of President & CEO, Terri served Ettie Lee as their Vice President of Finance, Research and Quality Improvement. She has held a leadership role in program development and evaluation, implementation of evidence based practices, and has championed the value of national accreditation, leading Ettie Lee to the achievement of COA accreditation. Previously Terri held several private sector positions in financial leadership. Karen Cash is Ettie Lee's Director of Foster Care Adoption. Karen's goal is to expand the Foster Care Adoption Program. She has been with Ettie Lee since 2008. She has worked with foster and adoption families since 1984 and her background includes 10 years in supervisor/manager positions in agencies that provide social and mental health services to children, parents, and young adults. A member of the National Association of Social Workers, she also teaches sociology and psychology at the college and university level. In addition, she is the author of the Children's Program Manual for Shelters of Victims of Domestic Violence. Karen has completed additional training in the field of adoption and related subjects and she holds a Masters in Social Work from California State University, Fresno and a Bachelors in Social Work from Azusa Pacific University. Donald Parrington, MA/MFT, Director of Mental Health and Substance Use Disorder Program, has worked at Ettie Lee Youth & Family Services since 2009. Prior to his current position, Donald was Ettie Lee's, Director of the Intensive Day Program. He currently maintains a private practice specializing in co-occurring mental health and substance abuse disorders. Prior to Ettie Lee, Donald ran programs at The Institute for Multicultural Counseling and Education Services and Star View and was the Executive Director of Santa Monica Bay Area Drug Abuse Council. Donald received his B.A. in Sociology from State University of New York at Binghamton and his M.A. in Counseling Psychology from Pepperdine University. Kathryn Stannard, with over 25 years at Ettie Lee, is a veteran of the agency. As Director of Administration since April 2011, Kathryn Stannard leads the Accounting, Human Resources, Facility Management and IT functions of the agency. She has a Masters in Business Administration and Human Resources from California Polytechnic University. Prior to her employment at Ettie Lee in 1990, Kathryn’s previous experience was in accounting for manufacturing and retail firms. She currently serves as a Board Member for Soroptimist International Covina/West Covina Chapter and as Board President of a homeowners association in West Covina. 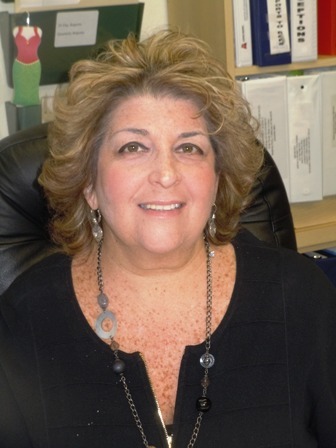 Karen Turner began her tenure at Ettie Lee as a child care worker. Then, for two years beginning in 1992, she and her husband (and two small children) were the house parents at Ettie Lee's Mt. Jurupa Home. Karen then went on to supervise the group homes and Intensive Day Treatment Program. Currently as a director she oversees quality Improvement and Staff Development as well as the residential programs and transitional housing. Karen has been employed with Ettie Lee for 25 years and she earned her double major at California State University Fullerton in Psychology and Sociology.